Happy Sunday morning! I have been asleep for the past twenty hours, with a six hour awake-brake (also known as Saturday) and I’ve just remembered I have a blog that needs updating. So, I’ve been busy this past week. A friend of mine, who also lives in London, told me she was working with Norwegian fashion designer Kristian Aadnevik on organising his show for London Fashion Week. So I simply invited myself to come help out. As you do. The photos in the post below are from the preparations in the studio and the actual show at the Royal Horseguards last Sunday. Nice, yes? 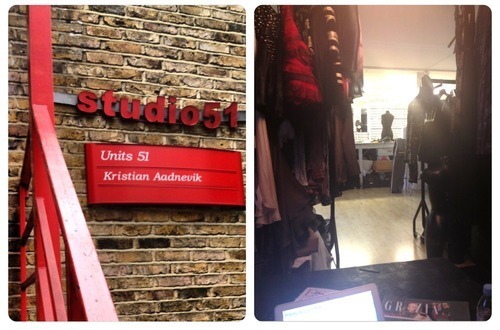 Since then, I sort of slipped into the role as PR intern, and have been working at Kristian Aadnevik’s studio in Chelsea all week. I’m going back tomorrow to continue my internship for a second week, before I return to Stavanger for work. Today, I’m adding my recent experience to my CV, while praying to higher powers that this will help me get a job.